Have you been looking for Spring Heating and Air Conditioning recently? You may have found many companies available in the area. It can be hard to choose between your available options. Most business are divided into three distinct types. Generally speaking there are sole proprietors, local family-owned business, and chains. Trying to decide between these three approaches to your AC maintenance can be hard. Try to hire a local or family owned Heating and Air Conditioning service in Spring. You may find yourself torn between going for a chain or the cheapest option. People mistakenly believe that chain companies offer higher repairs. Other people mistakenly believe that a sole proprietor will offer a better deal. In the end, the cost and quality depends on the company itself. By hiring a family run company who values their reputation you can get the best of both worlds. If you are searching for reputable HVAC services in Spring , contact Houston Admiral today. They have many years of experience in the Houston and Spring areas. Houston Admiral is a family owned company that values customer service and satisfaction. They want to be sure that all of their customers are healthy and happy in their homes. Providing excellent HVAC services are how they achieve that goal. You can learn more by calling 281-876-9400. New and returning customers can also visit them online at https://goadmiral.com. Learn why you should hire a local but established business and then contact Houston Admiral today. Hiring local HVAC services in Spring can save you a lot of money. Chain organizations are not always transparent about their fees or the services they offer. Many will subcontract service calls to other organizations. This can dramatically affect the service you receive and the quality of the repair. Larger chains may also charge many hidden or extra fees. Speaking with a live voice can be challenging, and emailed inquiries are easy to miss. Hiring a chain can waste your time, and your money. Sole proprietors are individuals who work for themselves and, usually, by themselves. In many industries, hiring a sole proprietor is the best way to go. When it comes to something important, it is best to find a smaller, locally owned company. These individuals have many years of training and experience on the job. They can also benefit from their shared knowledge. For example, if one technician is uncertain about the best way to repair a problem, they can ask a colleague. Family owned businesses often have been in operation for many years. This may have given them connections to other suppliers in the area. They can then pass those savings along to you. If you are looking for the best heating and cooling services in Spring, Contact Houston Admiral. They have a team of highly qualified and experienced technicians waiting to help you. Houston Admiral is a family run business that has been in the area for over 50 years. Each one of their technicians is certified and insured. You can trust your family’s comfort in their skilled hands. They also offer a 10 year warranty on all parts and labor. A local, Spring-based heating and air conditioning company will likely hire local residents. These individuals are intimately familiar with the climate in your area. This gives them an advantage on other technicians new to Spring. Each area has a slightly different climate with its own quirks. A local technician may remember that certain months are more humid than others. This knowledge can help them identify potential issues faster than others unfamiliar with the area. Most chains hire individuals who work near the chain’s base of operation. They do not usually hire technicians who will have to travel far from the head office. As a result, the technician that comes to your home may be from another state. Hiring a local business guarantees that your technician will know your area. Houston Admiral is one of the best family owned businesses in the area. They prioritize their customer’s comfort above all else. This is one of the many reasons why they have a fantastic reputation for customer service. You can learn more about the HVAC work they can complete by visiting https://goadmiral.com. Prospective clients can also contact their friendly office staff by calling 281-876-9400. There is one final perk to hiring a local heating and air conditioning service in Spring. Whenever you spend your money on a local, family run business, you keep it in the community. Of course there are many cases where buying local is not practical. However, when you can hire a local company and receive better service, you always should. Houston Admiral is a family run company that has been operating in Spring for over 50 years. They have a keen sense of community. For example, they are proud members of the Spring-Klein Chamber of Commerce. You can learn more about the wide variety of heating and cooling services provided by visiting https://goadmiral.com. You can also reach a live voice by calling 281-876-9400 with any questions or concerns. Finding the best local Spring-based HVAC service does not need to be a challenge. You can start your search by looking through the Chamber of Commerce listings. Alternatively, you can contact Houston Admiral Air Conditioning and Heating. They are a family run business with a focus on customer care. 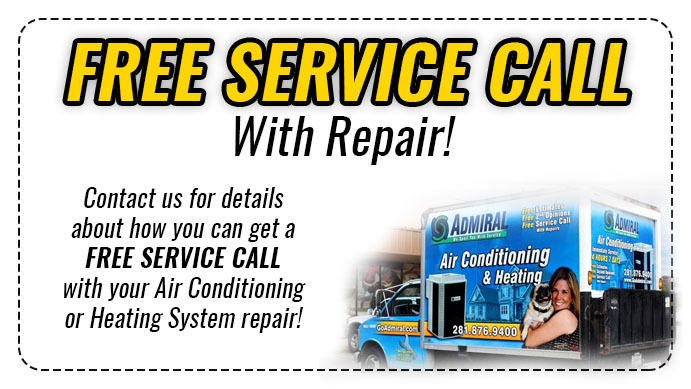 You can learn more about their vast array of HVAC services by visiting https://goadmiral.com. New and returning customers can contact their friendly office staff with any questions by calling 281-876-9400. 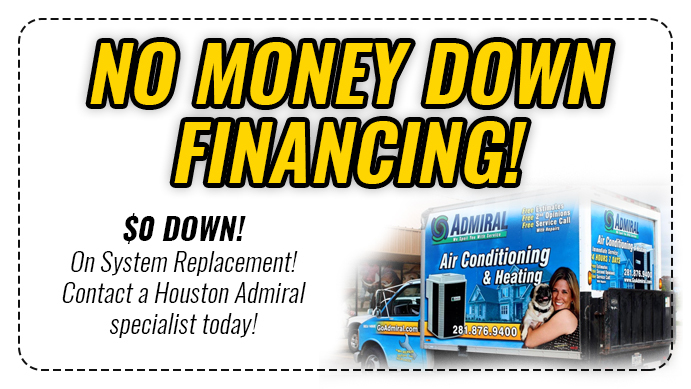 If you are looking for the best local Spring heating and air conditioning service, call Houston Admiral today.